The Generac Extreme Cold Weather Engine Block Heater for Generac Automatic Standby Generators installs easily with the included mounting hardware. The heater keeps your Generac automatic standby generator performing even in harsh weather conditions. Our heavy duty, all rubber power cords are the connecting link between the generator and a transfer switch via a power inlet box. All rubber cord stays flexible even in subzero temperatures. 50 ft. cord, 4 conductor, 6-Gauge wire with 50 Amp male (1450) + female (CS6364) ends. Made from UL Listed components. 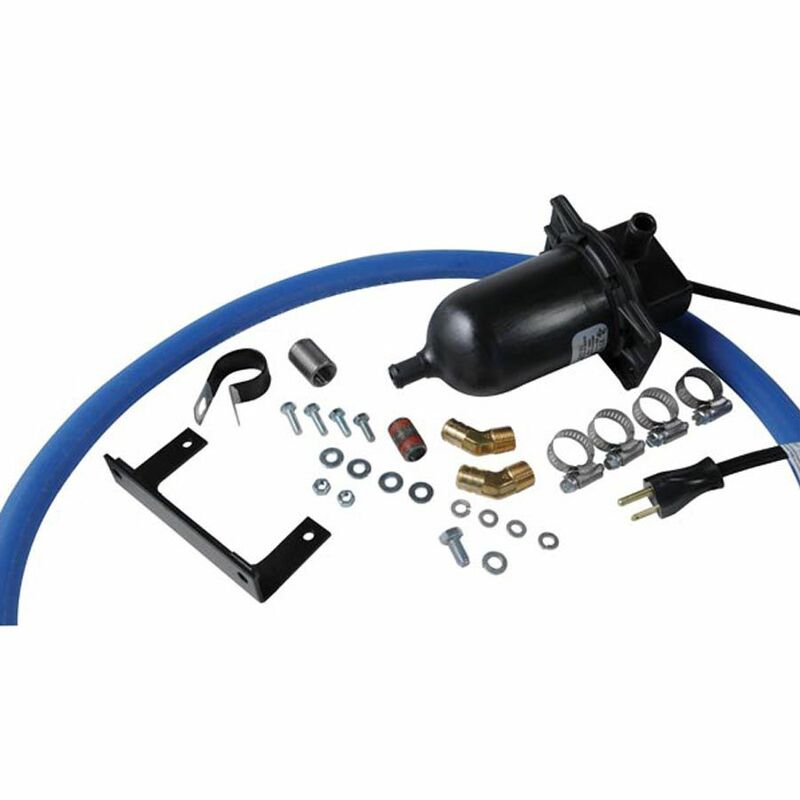 Extreme Cold Weather Engine Block Heater for Automatic Standby Generators, 6.8L 70/100/130W The Generac Extreme Cold Weather Engine Block Heater for Generac Automatic Standby Generators installs easily with the included mounting hardware. The heater keeps your Generac automatic standby generator performing even in harsh weather conditions.